Part I is devoted to molecular cell biology re-capitulating the formation of the first cells, their vertical and horizontal acquisition of new genes, using for examples extant archaea and primitive prokaryotes. A bold proposal is elaborated on the formation of the first eukaryotic nucleated cells from ancient virally mediated fusions of archaeal and prokaryotic spheroplasts. A detailed account on the evolution of viruses follows. 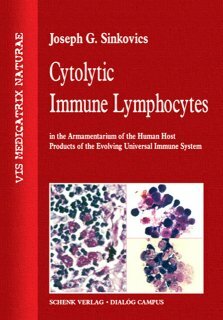 The well preserved innate immune faculties (TLRs, chemokines, cytokines, complement, opsonins and bactericidal substances) include a detailed description of the interferons, and interfering iRNAs. The first multicellular organisms in the Cambrian sea already possessed dendritic cells and natural killer (NK) cells.